This isn't a fashion blog, but bear with us: sometimes, style matters. Whether it's your wife insisting you clean up your act for a party or your boss doubling down on the dress code, now and then you've got to watch what you wear. 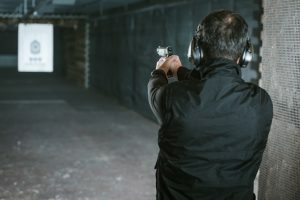 Those of us who consider a carry gun to be mandatory do have some options in these situations; in our opinion, a tuckable IWB holster is the best by far. Let's break down the concept and get into the features to look for. As you've probably guessed by now, the "tuckable" part is key. These holsters are designed to allow carry at the waistline under a tucked-in shirt, providing excellent concealment in a much wider variety of outfits. 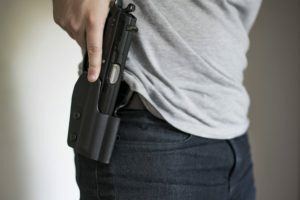 Keep in mind that overall concealment can depend on the material of your clothing and the size and position of your handgun, and also that the belt clips will always be visible. 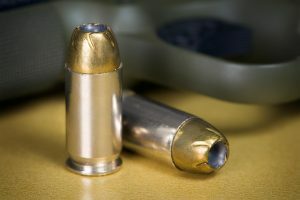 Pistols carried in a tuckable concealed carry holster are held in place not only by the shell itself but also the belt and several layers of clothing. This makes for strong retention and consistent positioning for draws. The belt clips help to keep the assembly secure and in position. Practice, practice, practice. It's crucial to practice your draws regardless, but tuckable IWB requires more effort than most since you know you'll need to clear your garment every time. On the plus side, these holsters can be carried in any of the common waistband positions, so you won't have to start learning the draw from scratch. Check out this outstanding video from Lucky Gunner about the fundamentals of the draw from concealment, then get to practicing! Your comfort level with tuckable IWB depends on a lot of factors. If your carry gun is striker-fired or otherwise hammerless and on the smaller end, you're on the right track. Look for a holster with a high enough back panel to keep the pistol from rubbing on your skin, especially if you're in it for the long haul. Overall, we don't find these to be noticeably less comfortable than other IWB holsters, so if you're comfortable with IWB carry you should be fine here. The design is pretty simple. The holster shell clips to your belt with clips which are designed to leave space for a tucked shirt. 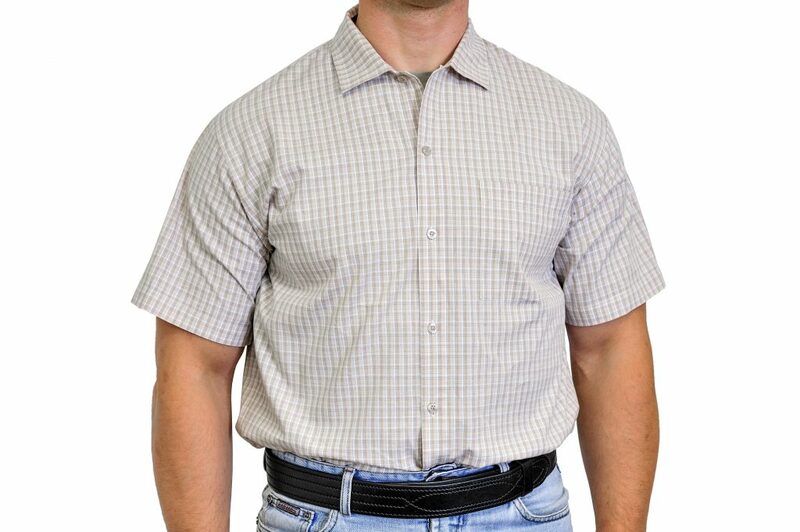 Your belt keeps the holster in place while your pants and shirt conceal your firearm. This means you'll need to use your offhand to clear your garment while going for the draw. Where does the pistol ride? 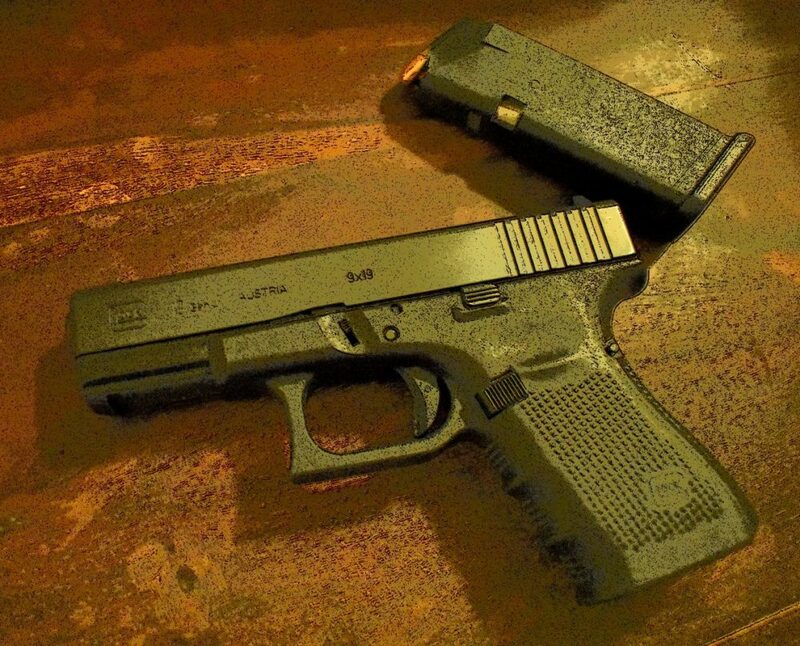 With very rare exceptions, your gun will ride in the waistband like a normal IWB holster. A few tuckable IWB holster models are designed for the gun to ride below the belt line inside the pants and pop out when the owner pulls on the belt tab. Generally speaking, if you carry IWB you can find a tuckable holster made for the same position. Leather is the classic for a reason; it's both tough enough to last and flexible enough to conceal well. Since you'll be wearing this under clothing, we recommend looking for a design that stays away from bulk and protuberances. Most tuckable IWB shells are form-fitted to particular makes and models of handguns so this shouldn't be too much of an issue. Since these holsters all mount on clips, it's necessary to wear a sturdy belt when you carry concealed using a tuckable holster. This can be a drawback, especially for women. Speaking of belt clips, what you gain in concealment from your tucked-in shirt, you lose in the visible clips on your belt. It's worth noting that if you normally carry tools or a phone on your belt, no one will notice these clips; if you don't, however, they might stand out a bit. What else should I be thinking about with regard to these holsters? Make sure the model you're planning to buy is fully adjustable. 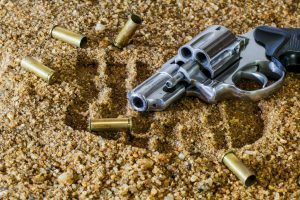 The height of the belt clips and their attachment point on the holster shell can make a world of difference in terms of both comfort and concealment. 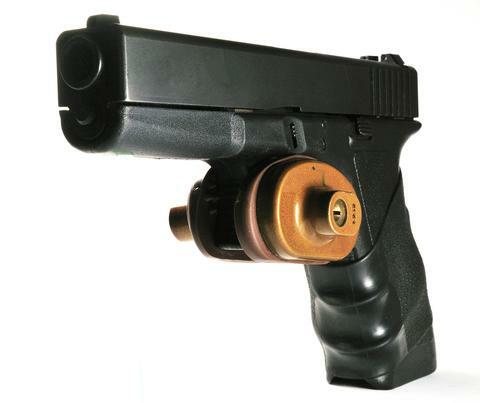 If your pistol has any aftermarket modifications like Crimson Trace grips or a barrel light, make sure the design you select can accommodate them without sacrificing ease of access to the pistol. So what's the verdict? In this case, it comes down to circumstances. 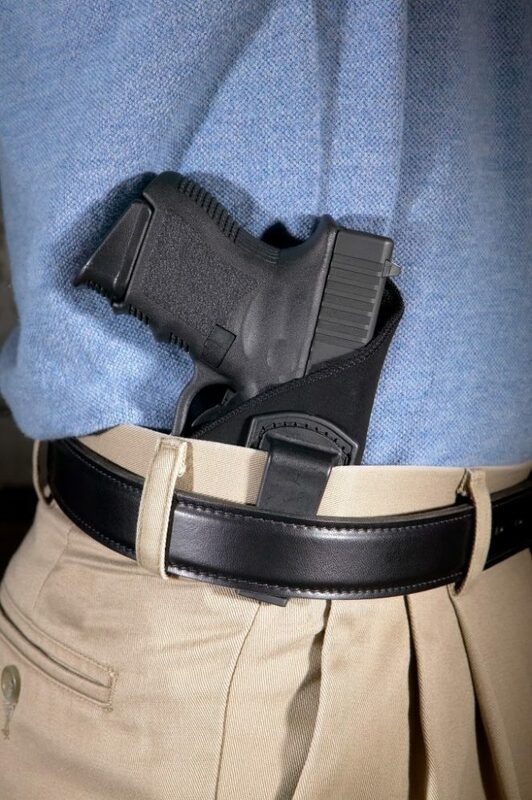 If you need to find a way to consistently carry concealed while wearing a tucked-in shirt, we maintain that tuckable IWB carry is your best bet. The alternatives (belly bands, ankle-carry,) are substantially worse in almost every respect. That said, if you can get away with standard IWB carry under a cover garment of some sort, the potential for a simpler draw and the lack of visible belt clips become strong incentives. Fortunately, nothing's stopping you from owning one of each! Just make sure that the tuckable concealed carry holster you pick out lets you carry in your preferred position and clothing type. No matter which you pick, the key is to practice your draw until it becomes second nature. These holsters fill an important niche in the concealed carry market. 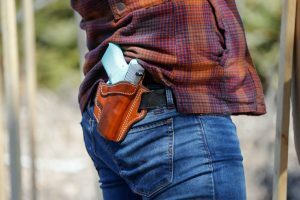 While perhaps not the absolute best in any particular category, the versatility that tuckable holsters bring to the table shouldn't be underestimated. 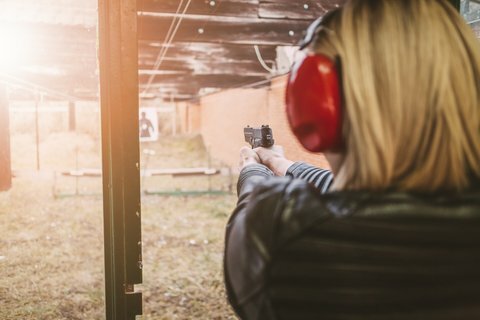 Your carry gun can't help you unless you're carrying it, and depending on your job or obligations that can often be tough. 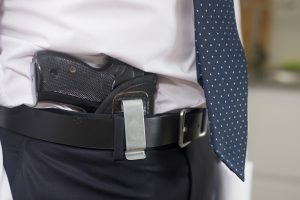 We're enthusiastically in favor of anything that allows more folks to legally carry concealed, so next time you go business casual, do not be afraid to carry you concealed weapon in a tuckable holster.